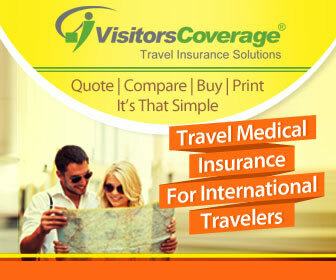 Valid visa for the country of your intended travel. If you are going to your home country, you will not need any visa. (Optional) If you were given an I-94 card, then that I-94 card stub. (Optional) Documents that you used as supporting documents for stay in US like invite letters, employment letters, conference invites, etc. You will go through the below procedures to exit USA at any airport, seaport or land check point. Using Kiosk for Check-in : Now a days, many airlines have automated Kiosks and you may not have a full service desk. You will be required to scan your passport, enter or verify your US visa information in the Kiosk. The kiosk will give prompt to consult staff for verification. You will need to show your passports, visas and documents of the destination country, so that they can let you print the boarding pass and luggage tags. If using kiosk, you will check-in your bags at counter after your boarding passes are given at Kiosk. You will be asked to show identification as well to check-in your bags. Turn in Physical I-94 Card : If you have a physical I-94 card given by CBP officer, when you entered US using Land or in airport, you should give it to the airline staff or CBP officer, so that your departure is tracked properly. Step 2 – Security Check : After you check-in bags, and take your boarding card, you will go through standard security check. It is no different for US Citizen or non-US citizen. It is all the same security line. They will scan your bags, scan your body and then let you go. You cannot carry too much of liquids and prohibited items such as batteries, etc. It is very standard for domestic or international airline. There is no exit stamp put on your passport. If you are going through seaport or land, it is pretty similar process. Step 3 : Exit to Respective Gate and Board flight or Ship : That’s it, you are done with the exit process and there is no additional steps or interviews involved. You just walk to your boarding gate and board the aircraft or board your ship. If you have been given an I-94 card stub, you hand it over at the gate. If you were not given any card, there are no additional steps required at the gate. Do I need to fill out any forms when I leave US as part of Exit Immigration Process ? No, you do not have to fill out any exit forms to leave US. The airline or passenger ships shares the travel data regarding your exit and it is all auto captured in the US Immigration/ Border Protection Systems. You can check your travel history. Read How to check US travel History. US Immigration No Exit Stamp on Passport at Airport / Seaport or Land Checkpoint ? As there is no specific CBP interview or check by any customs officers as part of the exit process, no one will put an US Exit stamp on your passport. Your passport will only have the entry stamp from Port of Entry, that’s about it. No US exit immigration stamp ! How are my US Exit Records Tracked ? US Exit records are automatically tracked using the data shared from the Airlines or Ships. It is important to have a copy of your boarding pass or travel itinerary to be safe for the future. Are there any US Customs Process during Exit Procedure ? No, there are no US Customs processes. There will not be any customs inspection of your goods, it will be only standard security check. Usually customs declaration happen, when you are arriving in the country and bringing in stuff. During exit, you do not declare anything. You can buy duty free items in the airports and that do not require any customs clearance. I was not given I-94 card, how do I ensure my departure is tracked properly ? Boarding Pass ? In general, you would not receive physical I-94 card as most of the I-94 process is fully electronic and automated, except in few cases of land entry or specific visa types. You can check your I-94 online. If you were not given a paper I-94 card, there is nothing to worry, it is pretty standard process. In general the airlines or ships would share your departure info with DHS directly. But, if you want to be safe and have documentation for re-entry, You may keep your boarding pass from US to your destination as a reference, if needed for verification, when you re-enter US or any issues with your I-94 in future. You can also verify your travel history online to be sure that your exit is tracked properly.